Spy photographers from Inautonews online magazine has recently caught on shots the upcoming Audi SQ7, while undergoing some tests on the track at Nurburgring, with the model also to be shown in a video. 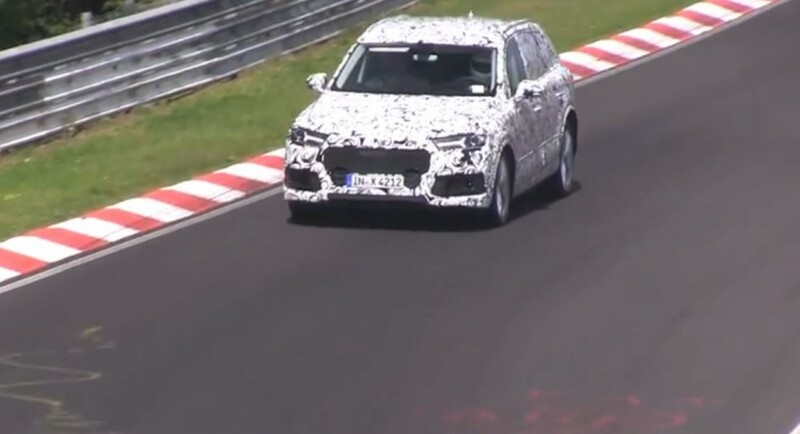 With just a few days after Audi announcing the new generation SQ7, and the model in question had already been seen for some tests, where some heavy camouflage at the body. Heavy camouflage always means heavy body changes, and it seems that the Audi SQ7 SUV will be no exception for the rule. It is surely enough that the 2016 Audi SQ7 will be coming with a more aggressive body kit than the rest of the Q7 lineup, and a few other changes inside as well. The 2016 SQ7 model will be also the company`s second diesel powered “S” model, after the SQ5 sibling, but no fresh news on the engine it will sport. At the moment, this is all we know about the 2016 Audi SQ7, but we will definitely find out more in 2015, where the model is said to be officially unveiled at the Geneva Motor Show.